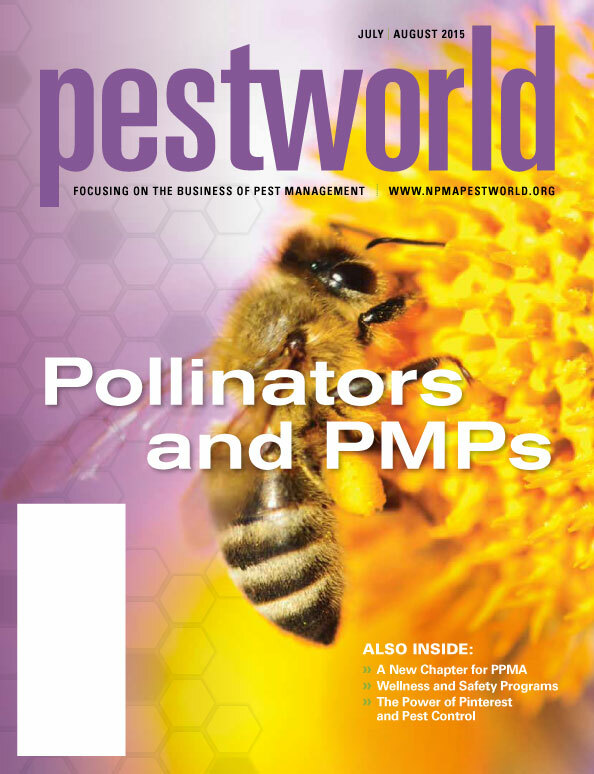 TITLE: The Pollinator Predicament: What’s All the Buzz About? 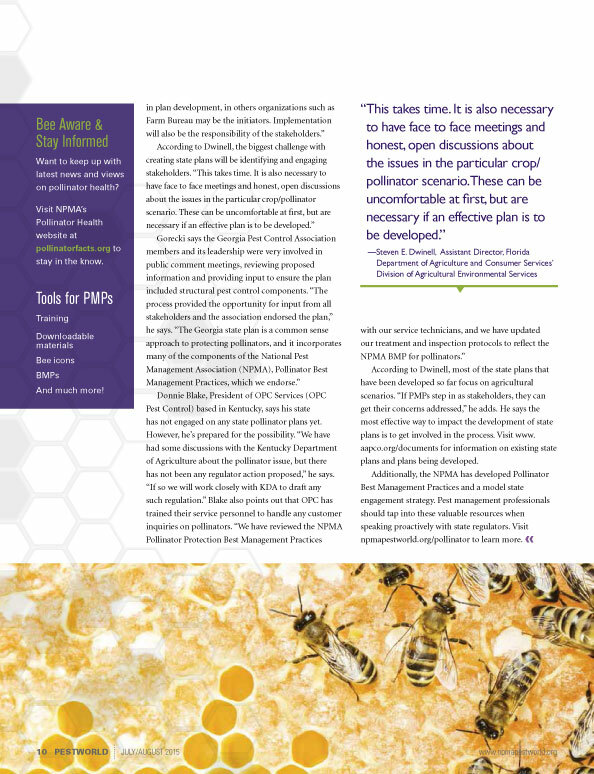 Pollinator health has remained a hot topic across the pest management industry for nearly a decade. It all started back in 2006, when beekeepers across the nation started reporting higher-than-usual colony losses. These elevated losses have been defined as Colony Collapse Disorder (CCD). According to the Bee Informed Partnership, which monitors bee colony losses across the nation, the average total loss was 29.6% between 2006 and 2014. Preliminary results reveal a total of 23.1% of the colonies managed in the Unites States were lost over the 2014/2015 winter. Because pollinators play a vital role in the nation’s food supply chain, the U.S. government is not taking bee losses lightly. In fact, honey bees contribute billions of dollars in added revenue to our nation’s agriculture industry each year. However, the impact of bee losses expands far beyond the economic impact on beekeepers and reduced honey production. Because honey bees also play a key role in the pollination of many agricultural crops, hive losses are also negatively affecting U.S. growers.